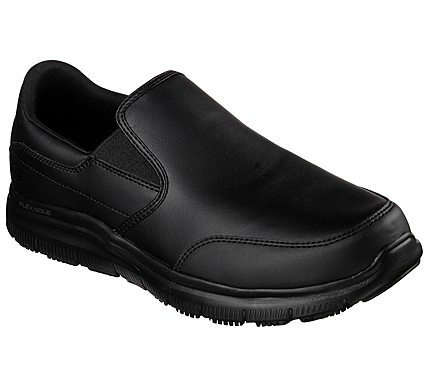 Smooth versatile style, surefooted safety, and comfort combines in the SKECHERS Work Relaxed Fit®: Flex Advantage SR - Bronwood shoe. Smooth leather and synthetic upper in a slip on casual comfort slip resistant work loafer moc with stitching and overlay accents. Memory Foam insole. EC Specific Edition.